Our board-certified dermatology team specializes in the prevention, detection and removal of skin cancers through various methods depending on the individual case and the overall needs of the patient. All of the surgical procedures are performed as outpatient procedures in our state-of-the-art office. In addition to other techniques, we specialize in the Mohs Procedure, which is excellent for thin tissue areas and leaves minimal scarring, as well as in excision and other types of surgical removal techniques. 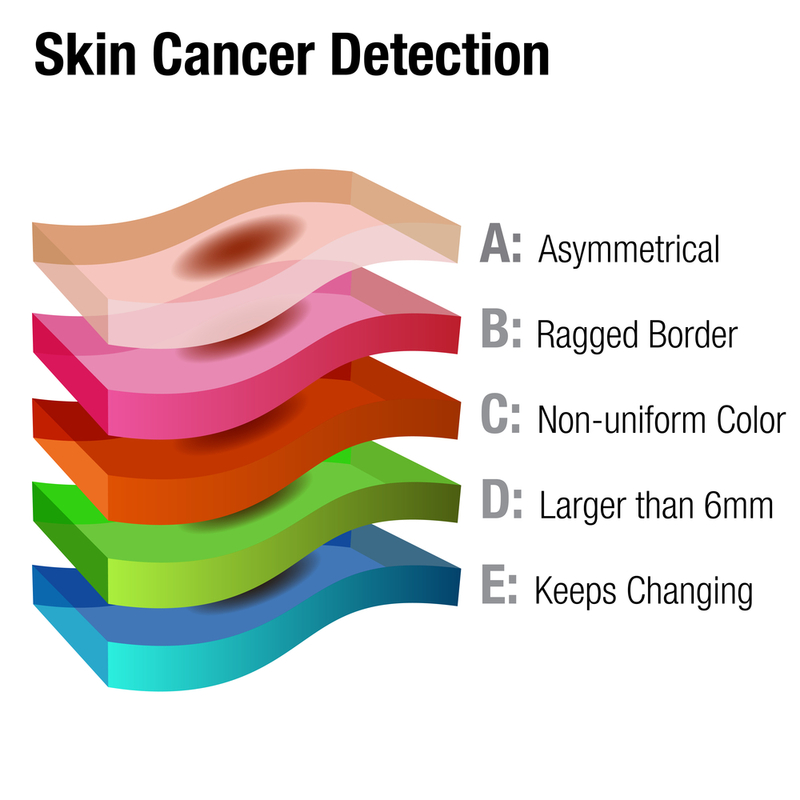 One of the most common types of cancer, skin cancer has many different types. Our team is expert at diagnosis and can treat very many of them as well as many pre-cancerous conditions, such as actinic keratoses (AK). The most common forms of skin cancer are squamous cell carcinoma (SCC), basal cell carcinoma (BCC), and malignant melanoma. For some forms of skin cancer, we are able to employ non-surgical skin cancer treatments such as cryotherapy for pre-cancerous lesions, photodynamic therapy and topical chemotherapy. We encourage and work with our patients to regularly screen for skin cancer. Early detection is an important factor in treatment and can be life saving. Family history and environmental factors all come into play. According to the American Cancer Society, 1 in 5 Americans will develop skin cancer by age 70. Excessive sun exposure is the most important factor associated with developing skin cancer; to that end, we offer many sun protective solutions for our patients. We have noticed the rise in skin cancer patients in our own office. 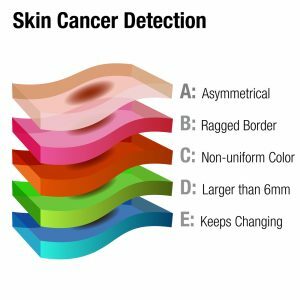 The most common skin cancers are basal cell and squammous cell carcinomas and they are easily treated when detected early. Schedule your full body cancer screening with our office today.